Do you dread talking to strangers or those you barely know? Some people seem to be born with the gift of gab. They talk to anyone with ease, anywhere, anytime, about anything. 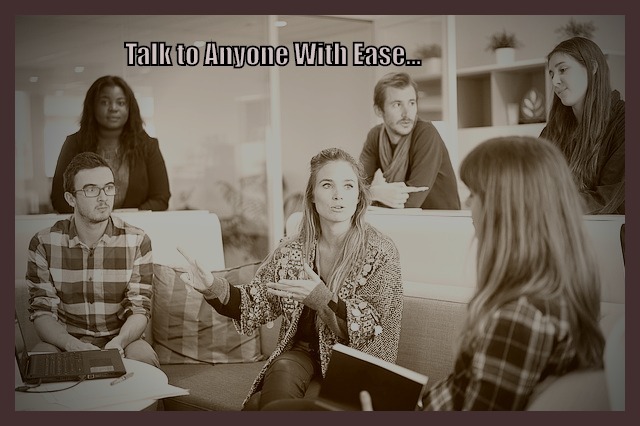 By understanding a few strategies and putting in a little practice, you can talk to anyone with ease, too. You don’t have to be mesmerizing. You just have to convince the other person they are. Take the time to learn the skills and techniques of effective interpersonal communication. You can be the hit of the party without saying a lot. Now you know, you can talk to anyone with ease.